Letters explaining English as it is spoken in England, how behave correctly in England, knowledge you will need when visiting or working in England - or even just speaking to English people. A “value-added” concept in English as a foreign language. Paddy Panda is a cuddly toy made in China who has come to live in England with his owner John Smith. He has written a series of letters explaining what life is like in England, how people behave in England and what is considered to be correct behaviour in England. Everything that Paddy Panda writes is grammatically correct. There is never any bad spelling or poor sentence construction in Paddy Pandas letters. By reading Paddy Panda’s letters you will learn what you need to know when visiting England or dealing with English people on business or on holiday. Whether you want to know about travelling around England by train, how to order a meal or how to behave when visiting a person’s house, Paddy Panda tells you what you need to know. He also explains a bit about British history and British culture as it is viewed by British people. The British are proud of their history and culture. If you want to avoid giving offence you need to know how they see themselves, not how other people think of them. Whether you work in a hotel used by British people, go to Britain on holiday or do business with British companies, Paddy Panda is for you. And they are quite fun stories as well! 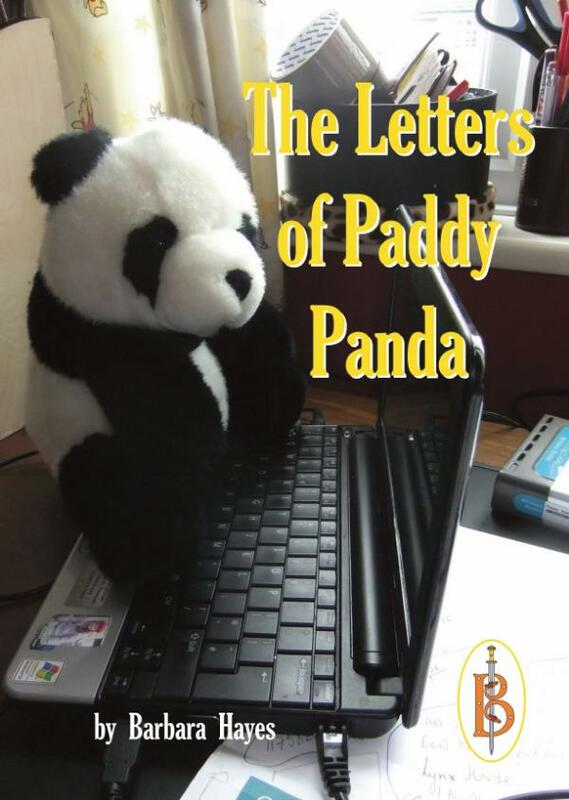 The First Letter from Paddy Panda, in which he learns about himself. The Second Letter from Paddy Panda, in which he learns about Britain and England. The Third Letter from Paddy Panda, in which he learns about Scots and Irish. The Fourth Letter from Paddy Panda, in which he gets lost in the furniture. The Fifth Letter from Paddy Panda, in which he learns about British wars and battles. The Sixth Letter from Paddy Panda, in which he learns about travelling in Britain. The Seventh Letter from Paddy Panda, in which he learns the difference between tea and tea. The Eighth Letter from Paddy Panda, in which he learns about London. Barbara Hayes worked on the editorial staff and spent many years writing stories and picture strip scripts for the Amalgamated Press, later Fleetway Publications and subsequently part of the Daily Mirror IPC publishing group. She knows all about correct written English, colloquial English and grammar. She is also a fount of knowledge on polite behaviour and how to behave properly.